There might be no clearer metaphor for mental clarity than that clock: we describe the timing of the very punctual among us as being like a "Swiss watch." There might be no clearer metaphor for mental clarity than that clock: we describe the timing of the very punctual among us as being like a "Swiss watch." For the well-prepared, efficient actions progress "like clockwork." The telling and keeping of time was one of humankind's first scientific breakthroughs. We used the position of the sun to determine the time of day, and ultimately read the changes and patterns in the stars, planets, and seasons to grasp the system of days, months, and years that mark the passage of time on Earth. As technology has progressed, the way in which we tell time has evolved, too: most of us use our smartphones to check the time, eschewing a wristwatch unless it serves as a fashion statement. Sundials, though only functional during daylight, helped the ancient Egyptians and Babylonians keep track of the time, and helped refine their understanding of astronomy. Hourglasses and water clocks, in which sand or water is displaced at a set pace, allowed people to track the duration of time, regardless of whether the sun was shining. Our modern word "clock" is derived from the Celtic words "clocca" and "clogan," which both mean "bell." That's not surprising, as with the advent of mechanical clocks in 13th century Europe, we have begun to associate hourly chimes with the keeping of time. In the Renaissance, new technologies like the coil spring made possible the invention of pocket watches and smaller, more precise tabletop clocks, which could be showcases for dazzling metalwork or enamel, and began to appear in the treasure collections of Europe's monarchs and noblemen. 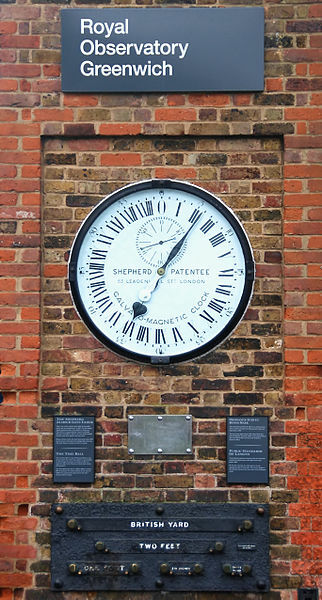 Clocks became more affordable and widespread in the 19th century. Scottish inventor Alexander Bain patented his design for an electric clock in 1840. Middle class households were now rarely without an electric clock, and larger versions graced the walls of schools, train stations, factories, and government buildings as electricity became ubiquitous and modern, regular schedules for school and work became the norm. In the 1970s and '80s, clocks, watches, and appliances like microwave ovens began to include digital time displays, which save space by showing only the digits and not the full face of a traditional timepiece. Small children rejoiced in their ability to tell time easily, without being confused by the math involved in calculating minutes to the hour. But not everyone prefers a digital clock. In recent years, a new kind of clock has now hit the marketplace, not because of any breakthroughs in technology, but because of enhanced understanding in how we age, and how people with diseases like Alzheimer's, which devastates the memory, need to become reacquainted with their home environments. That includes basic visual cues like telling time, or knowing what day of the week it is. 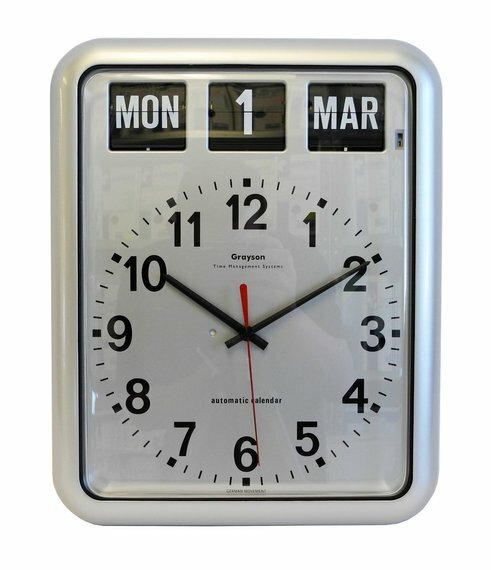 Known to caregivers as Alzheimer's clocks, these devices use a traditional, easy-to-read display on a round face, and often include a visual reminder of the day and date. Patients with Alzheimer's, memory loss or Dementia thrive on structure and routine. A loss of awareness of the time or date can send a patient into a panic, and can tax caregivers who grow weary of reminding patients of the day or time over and over. 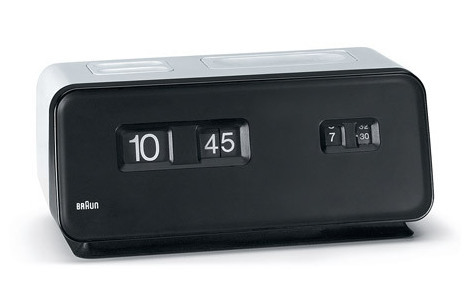 When the current population of Alzheimer's patients were young, there were no digital clocks. Patients with memory loss usually retain relatively clear memories of their younger years, but have difficulty forming and keeping new memories. That's why your grandparents remember their college years or their honeymoon so clearly, but have trouble keeping track of the latest updates from their children and grandchildren. For a patient whose clearest memories might be of the 1950s, a digital clock is, ironically, more difficult to read and understand. Current dementia clocks use a traditional readout so that patients can glance up and be reassured quickly that they know the time and date, and not have to worry about missing an appointment or a meal. Extraordinary medical technology is making life better for patients with dementia all the time. But a relatively simple technology, intelligently deployed, can make home life more peaceful for patients and caregivers alike.